Although there is no sign to show when the spring of oil and gas industry will come. Crude oil price keep fluent in the very low price range. More and more oil industry companies and solids control manufacturers cannot survive. But GN Solids Control is still standing here and keep development with its reliable services and reputable name in the field. GN Solids Control, together with GN Solids America, will come for 2016 OTC oil show in Houston. It is a good chance for the clients to check and know GN products and quality. They can detailed check by themselves and make comparison with other U.S and European brand in the oil show. They do not need to here and there. Just in the oil show area, they can see more. It saves clients cost on time and money. 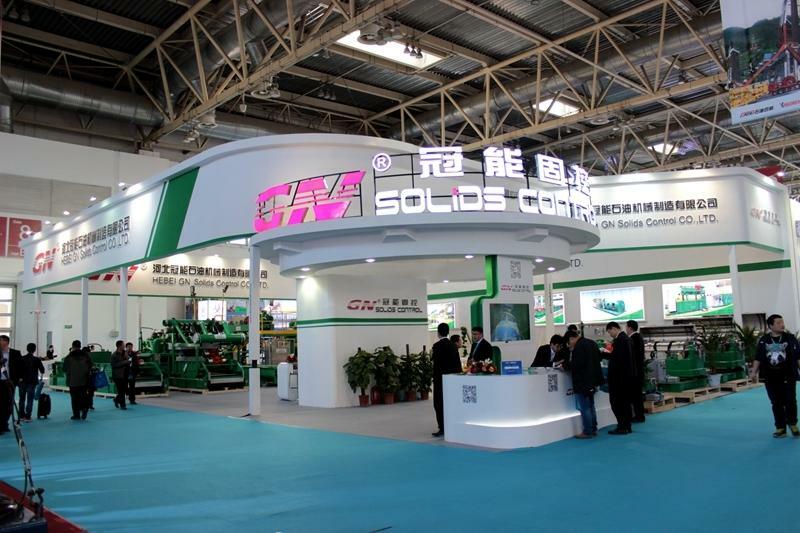 It can help them to know more about GN products and quality, and enable them to trust our brand: GN Solids Control (with a separate brand: GN Solids America in U.S.A). For 2016 OTC (Offshore Technology Conference) , GN haves has 2 booths for GN Solids Control (China) and GN Solids America (USA). Below information will help you to locate GN’s booth. GN team is willing to receive the appointments for clients visiting to the booth. If you have interest to know more and about GN and visit them on the oil show, you can see mail to sales@gnsolidscontrol.com or usa@gnsolidscontrol.com to make an appointment. For the clients have interest on GN and wants to know more about GN brand and quality. They can visit GN warehouse and warehouse in Houston. GN has office and warehouse in Houston, TX which would be excellent for a further more talking during or after the show. You can check GN made shale shaker, decanter centrifuge, Vertical uttings dryer and other drilling waste management there. GN is always welcoming any clients who want to come to our warehouse for talking deeper cooperation and equipment inventory checking.